Everton want Dortmund forward Pierre-Emerick Aubameyang? 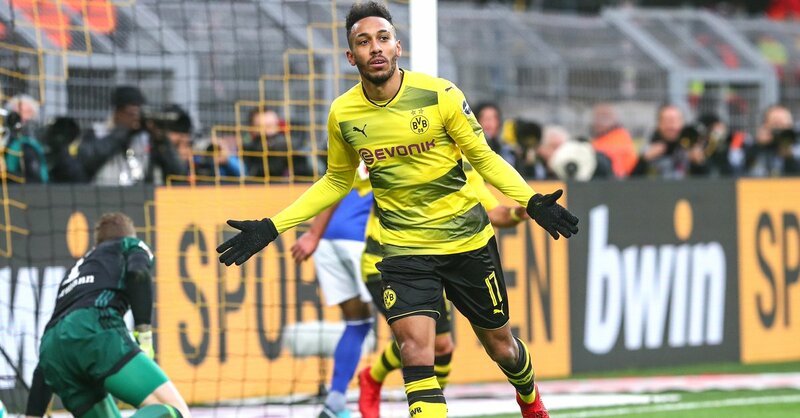 The Premier League outfit Everton have emerged as rumoured suitors for Borussia Dortmund forward Pierre-Emerick Aubameyang. The Gabonese international has been in excellent form for the German outfit over the last few years, scoring 96 times in 140 appearances, and already has notched 11 goals in 12 outings so far this season. Aubameyang’s future at the club seems uncertain since from a couple of months, however, with a plenty of disciplinary issues allegedly leading Dortmund to a verdict to sell him out in the new year. The Premier League duo Chelsea and Arsenal have been long-term admirers of the 28-year-old forward, while his services are said to be a top priority for Liverpool boss Jurgen Klopp, who previously managed Dortmund. According to Mirror, however, the Toffees have also joined the race for Aubameyang’s signature as newly appointed manager Sam Allardyce looks to an ideal replacement for Romelu Lukaku, who joined Manchester United in summer.